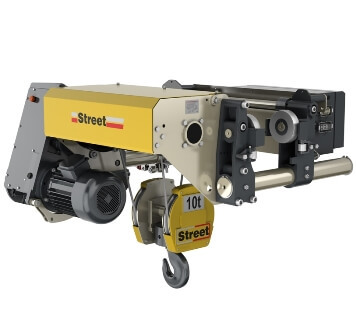 Portable electric hoists perfect for site work. 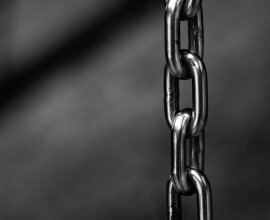 The Only Website You Will Need For Hoisting Equipment! 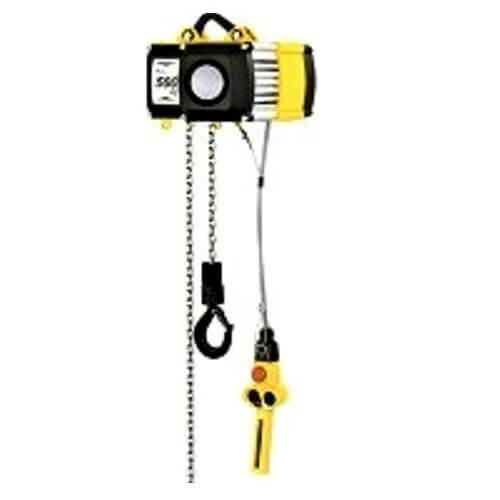 We have a vast range of all major branded electric chain hoists. 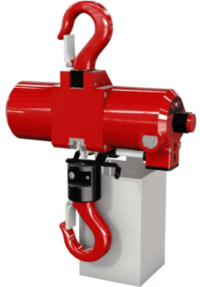 Pneumatic Air Hoists for alternative powered lifting. 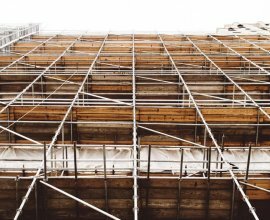 Builders Scaffold Hoists, ideal for the construction industry. 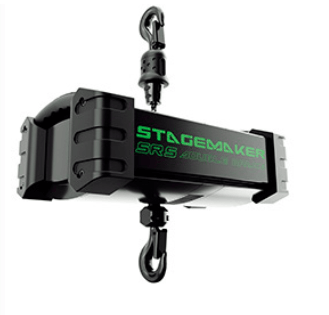 Perfect for heavy duty lifting operations with SWL up to 50 tonne. 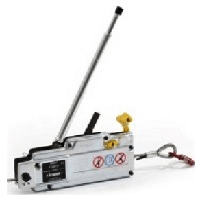 Explosion proof hoist for hazardous areas with our ATEX rated equipment. Portable Electric Hoists for lightweight lifting & pulling Tasks. 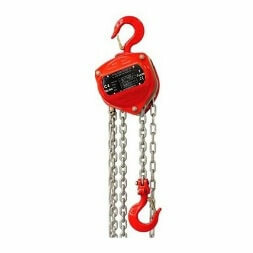 Wire Rope cable puller & Tirfor Winch Machines for lifting & pulling tasks. Lifting Hoists Direct To You! Whatever your lifting operation, we can provide lifting hoists, hoisting equipment and other types of lifting equipment best suited to your task; we can supply lifting hoists with a vast range of lifting capacities from the lightest duty manual lifting hoists to heavy lifting equipment with a heavy duty powered lifting hoist. 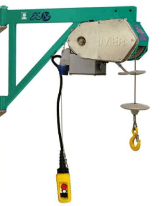 Lifting hoists are the safest, fastest and most convenient way of lifting and lowering heavy loads and the use of a lifting hoist and associated lifting equipment is extensive across many industries. We only supply quality lifting hoists and lifting equipment supplies from the leading lifting gear manufacturers such as Yale, Stahl, Demag and many more, all at the most competitive prices around; not only can we supply your hoisting equipment we also offer a range of lifting Hoist Services which include repairs, inspections and servicing on any lifting hoists or hoisting system, including a construction hoist, garage hoist, jib crane hoist, engine hoist and other industrial lifting hoist systems ; other lifting equipment can also be catered for. 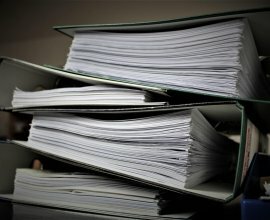 Our highly experienced engineers will carry out any relevant work to the highest standards with certification issued for all jobs carried out. For the complete lifting equipment package we can supply all your lifting hoists and slings together so you can get all your lifting equipment from one place, lifting gear uk. 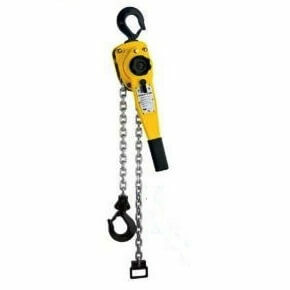 Our extensive range of manual hoisting equipment includes lever hoists and Pull lifts; manual chain hoists or chain blocks and also spark proof Atex rated models for a lifting hoist to use in those hazardous areas. Manual lifting hoists are more compact than a powered lifting hoist and are perfect for temporary use or infrequent lifting operations; they are also ideal in situations where you have no power; low headroom / limited space, are lifting lighter loads or need it to be more portable. Manual hoisting equipment is generally a cheaper option to a powered hoisting device. 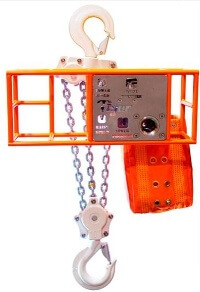 Other lifting gear is available to compliment this type of lifting hoist. Our Powered lifting hoists collection includes electric and air powered / pneumatic hoists to suit the majority of lifting operations; Available at the best possible prices we have air hoists, electric hoists, wire rope hoists, scaffold hoists, Minifor hoists, stage & entertainment hoists a construction hoist or an Atex rated lifting hoist. 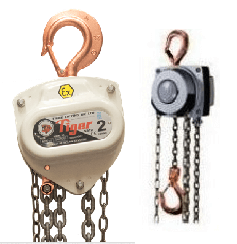 Additional lifting equipment to compliment these hoists are readily available. Our powered lifting hoists come from some of the world’s top lifting equipment manufacturers so you can be assured of quality and reliability. 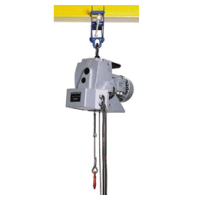 Check out our lifting hoist categories above for much more detailed information. 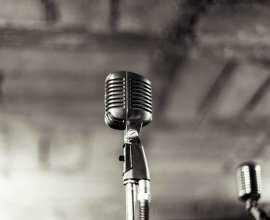 Supplying hoisting equipment and lifting gear to a vast array of industries we cater to theatre companies with one of our Verlinde stage & entertainment hoists to builders with a construction hoist, scaffold hoist or gantry hoist, and even garages with an engine hoist; we can also supply sub-sea hoists for use in the marine industry. 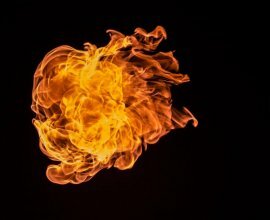 For hazardous working environments such as chemical plants, gas suppliers and energy companies we have ATEX rated lifting hoists, for explosion protection & spark proof safety in basic, medium and high classifications; ATEX rated lifting gear is essential in these areas. 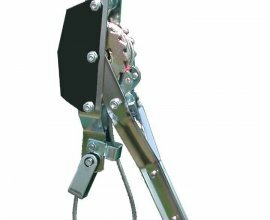 Our Minifor Hoists are a type of smaller, portable wire rope lifting hoist and are ideal for lifting and pulling across longer distances and come with safe working load limits up to 500kg. 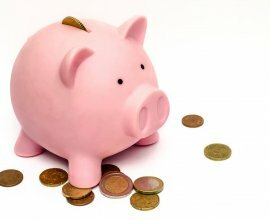 With an excellent rapport with our hoist manufacturers we can usually supply you chosen hoist very quickly, often within a day or two, and at great prices, if you find it cheaper elsewhere, let us know first! ; if you need other lifting equipment and or loose tackle, such as compatible hoists and slings or other lifting equipment supplies we can help there too, contact us here at Lifting Hoists Direct for more information about any of our lifting equipment, hoists or lifting gear products, our sales team are always ready to help, whether it is for additional information, advice or a quick quote. 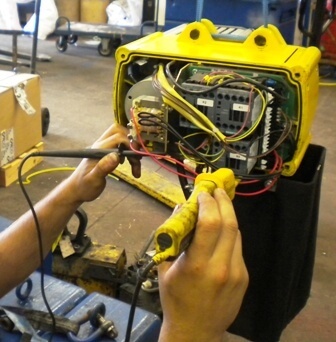 We are centrally located enabling quick delivery to the majority of the UK and easy access for repairs, servicing, inspections & maintenance. 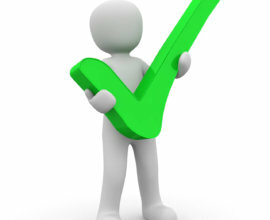 With many years of experience, our knowledgeable staff are ready to help with any queries. Site visits can often be arranged.